Named after a saint and a pop star, Madonna is a tribute to the Italian Chiavari chair, uniting and personifying classic and modern in a piece of craftsmanship in beech. Madonna is a chair for every space in your life. The construction is subtle and sustainable. The design is pared down with elegant details, yet discreet enough to blend into its surroundings. 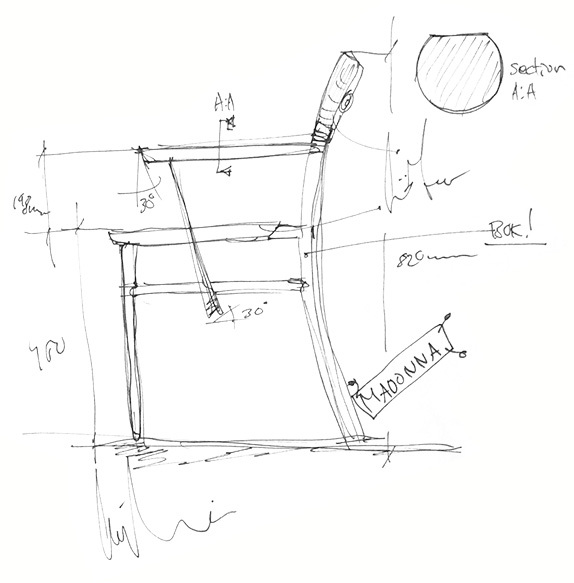 The space that is created around the chair is as important a part of the design as the piece of furniture itself. Madonna is created bearing in mind the realisation that you will usually be viewing it from behind. The seat is moved slightly forwards to create a sense of lightness and space. 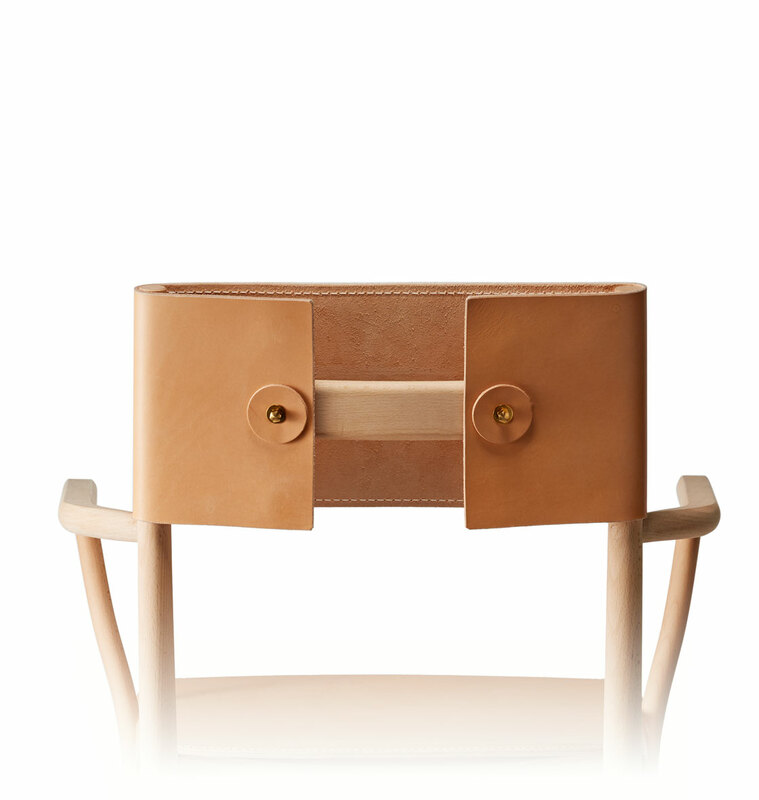 The leather back is attached with minimalist brass buttons. 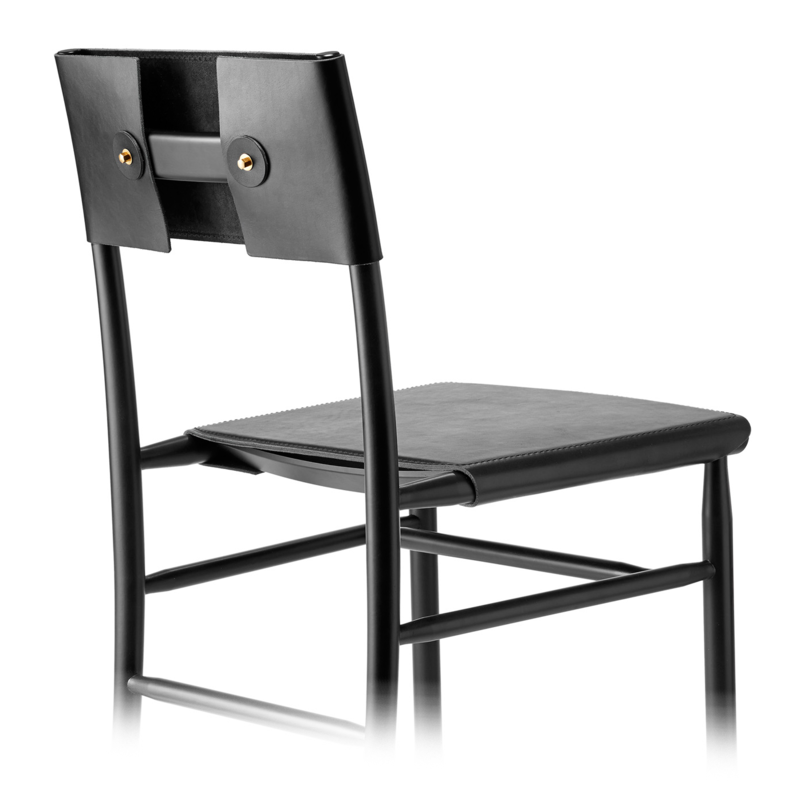 And the concave frame gives the chair a resilience that works equally well at a dining table as it does at a desk. 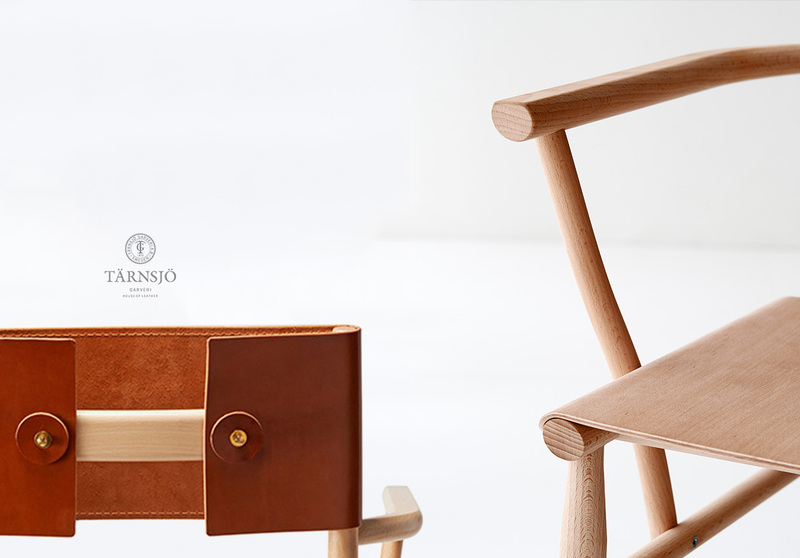 The natural arching of the leather around the frame is also recreated in the wooden version. By compression moulding the beech veneer, the seat and the backrest are bent to tightly fit the turned frame, giving the chair a gentle, living appeal. It’s the little details that make the difference. The armrests are only slightly bent. This gives the impression that the chair is welcoming you with open arms while creating a roomy, spacious seating experience. Madonna has evolved from a multitude of sketches and about ten prototypes. Every angle has been examined and millimetres shaved off or added to find the perfect balance between aesthetics, function and sustainability. 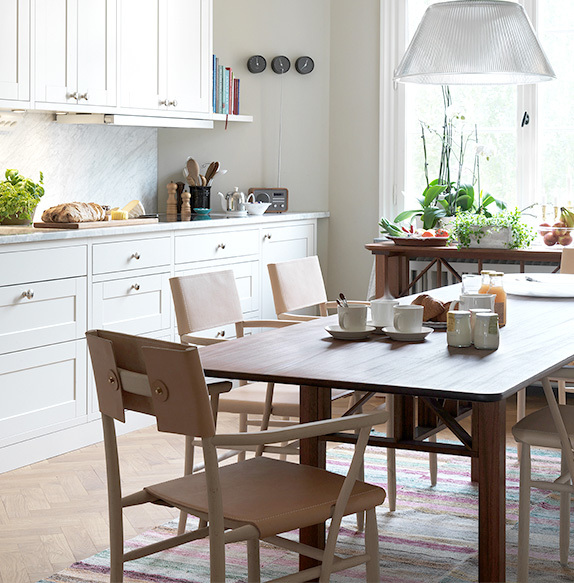 Beech isn’t just a beautiful material with all the appeal of living wood. It’s also a strong, resilient and light, all essential characteristics for a delicate structure like Madonna. And with vegetable tanned leather from Tärnsjö Garveri, this piece of furniture shapes itself to the way you live with it. Every time you use it, it takes on a little bit of your personality. David Ericsson was brought up in Småland in southern Sweden but now lives in Stockholm. 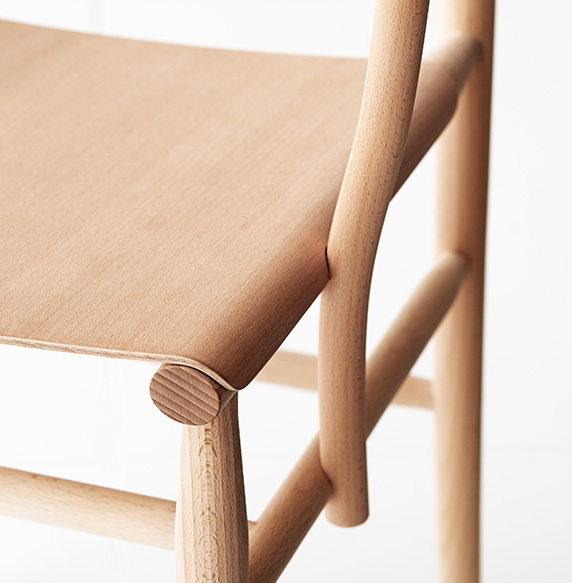 Having studied art, design and architecture, he then read furniture design at Carl Malmsten, graduating in 2010. Today David runs his own furniture design business and is now a teacher at Carl Malmsten himself. 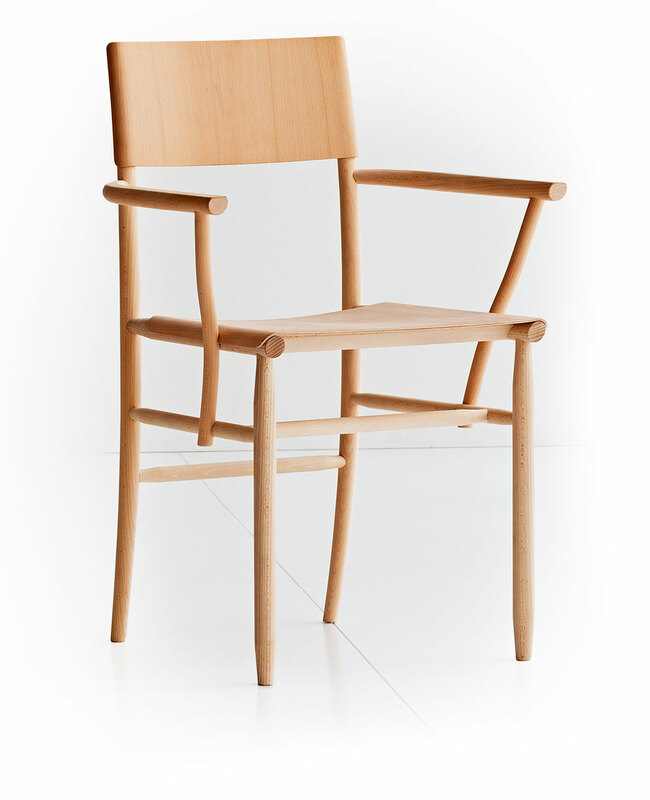 Madonna is David’s first chair in partnership with Gärsnäs. Madonna comes in several versions. With or without armrests. With seat and backrest in leather or all in wood. The leather is organic and comes from Tärnsjö Garveri. It’s vegetable tanned and comes in natural, black or red-brown. Would you like to know more about Madonna?